The new Volvo Construction Equipment hauler range consists of the 45-tonne R45D, 60-tonne R60D, 72-tonne R70D and the flagship 100t/95-tonne R100E, a completely new rigid hauler featuring new technologies and a striking new design. David Vaughan, Managing Director for Babcock’s equipment business, attended the launch at Volvo’s Motherwell facility in Scotland earlier this year where guests had the opportunity to test drive the R100E and see it in action at a nearby quarry. 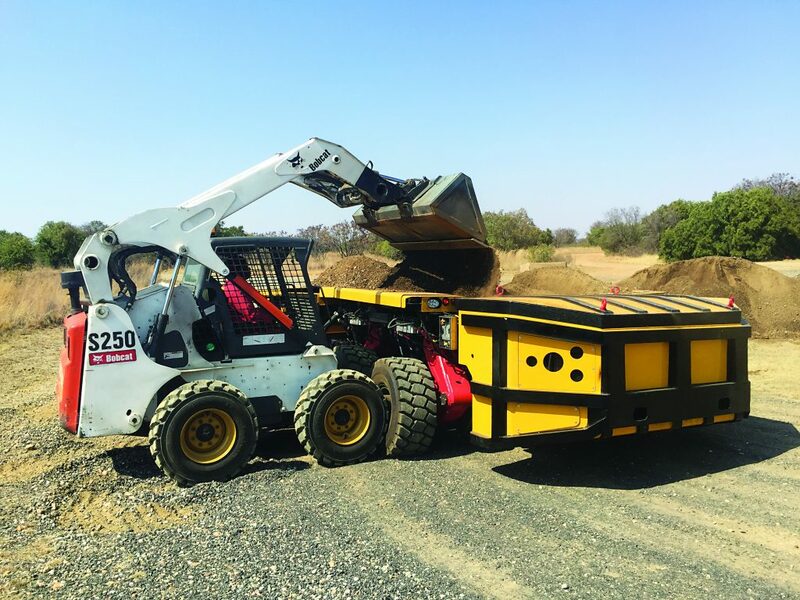 David says that the R100E rigid hauler, built for surface mining and quarrying applications where operational costs are critical, took centre stage at the event, and expects the machine to attract a strong following in southern Africa. “Despite the fact that the R100E will be competing in one of the most contested segments of the rigid hauler market, this top-performing machine with optimal production and minimal operational costs will be a strong contender in the mining and quarry market segment,” he claims. The groundbreaking R100E is engineered to perform and is built on strong Volvo DNA. Offering a true 100t/95-tonne payload, the R100E allows operators to meet production rates faster while simultaneously providing low cost of ownership and ease of serviceability. With a 60.4m3 capacity V-shaped body for optimum load retention and minimal material carry-back, customers can expect to spend less per haul, while the industry-recognised load profile policy enables the operator to meet a consistent average target payload of 95 tonnes. Central to its powerful and efficient performance is the new fully electronic 783 kW Cummins QST30 engine for superior power and fuel efficiency, backed by an improved ‘connected’ drivetrain delivering high torque capabilities, excellent pulling performance and class-leading rimpull. The Volvo Adaptive Shift Control provides automated adaptive shift schedules for excellent performance and fuel efficiencies in all operating conditions. Intelligent monitoring systems such as the On-Board Weighing (OBW) option ensure the machine moves the optimum safe payload to further boost production and minimise operational costs. Other features that make the R100E more durable, cost-efficient and comfortable include a speedy body-tipping system ensuring fast cycle times for an all-round efficient performance; a new suspension design and wheel track configuration to absorb high levels of ground impact shocks; and an ergonomic cab layout for improved operator experience and a 360-degree visual system for safe and efficient operation. David says that the R100E has undergone extensive field testing at mining sites in both Sweden and South Africa, a key market for rigid haulers, with the machine tested in both cold and hot climates and in hard rock and coal environments. Babcock expects the new Volvo R100E, with its focus on low total cost of ownership at the forefront of its design, to be a hard hitter in the southern African mining and quarrying sectors. The R100E and the D-Series machines will be backed by the same aftersales support, immediate access to parts and qualified service technicians, and well laid-out service points for quick maintenance and increased machine uptime that is standard for all Babcock-distributed machinery.